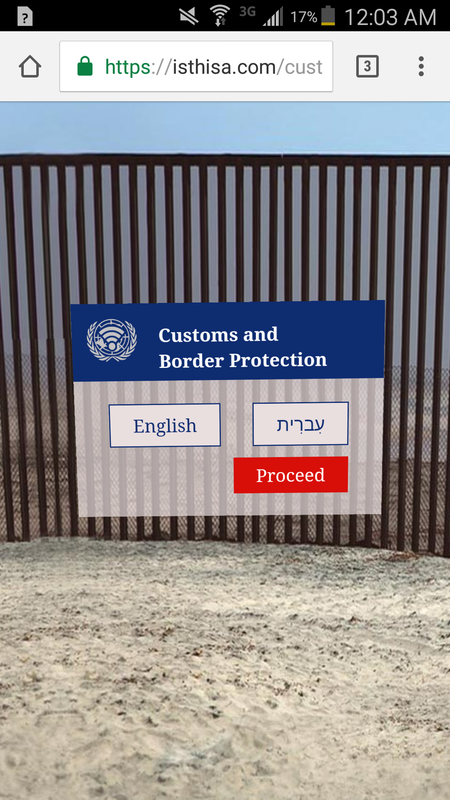 Captive Portal: Customs and Border Protection is a digital installation and alternate reality game installed on the Captive Portal, or wifi splash page of the Center for Contemporary Art Tel Aviv. It was commissioned for the Captive Portal series in Jan 2017, and will be exhibited until the end of March 2017. The Captive Portal series is curated by Yoav Lifshitz, Tal Messing, and CCA Curator Chen Tamir. A demo of the work is available here. “Captive Portal” is a digital “fifth wall,” like a gallery wall, that is accessed by visitors on their mobile wireless devices during their visit to the CCA, where the Wi-Fi platform is available throughout the building. We constantly navigate Wi-Fi spaces in our daily lives, and connect with them through “captive portals” that are usually used for commercial advertising by large corporations, but it can also serve as an invisible “canvas.” The CCA takes advantage of the constant obsessive search for WiFi, by both humans and cellular machines, to “captivate” or trap audiences into viewing a temporary, site-specific work of art before continuing to surf the net or use their mobile device. The project manipulates the very moment when visitors disconnect from the gallery space and enter an immaterial “space” rife with possibility. 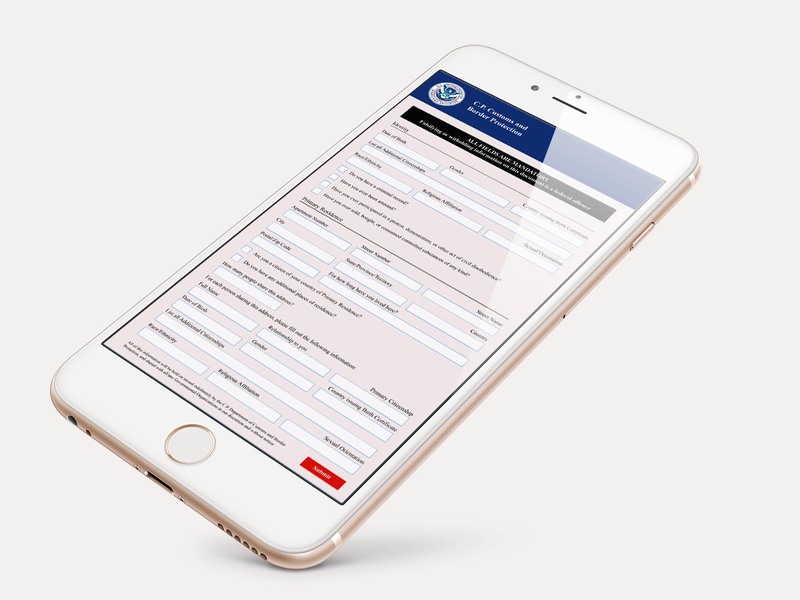 Part of the “Captive Portal” commissioned series, Customs and Border Protection is a new work designed specifically for the CCA’s WiFi platform, Captive Portal, by Toronto-based artist, Sarah A. Friend. 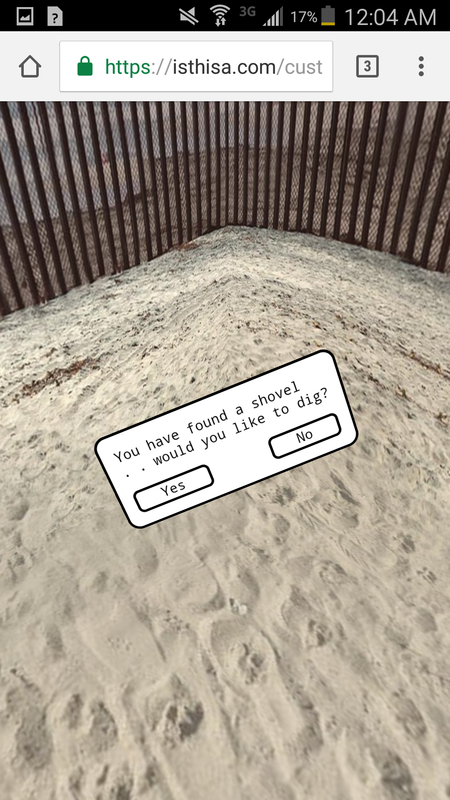 Visitors are invited to connect to WiFi via their smartphones, but first must pass through a digitally simulated checkpoint and AR (Augmented Reality) game that may or may not let them through. Modeled after border transfers and customs control gateways, the work traps visitors and asks them to complete an official-looking form similar to those of border protection agencies. The form is long and tedious and the questions it asks are invasive. There is no guarantee of being allowed through, but visitors may try again. They will never know why they were granted or refused entry. However, hidden within the checkpoint are alternatives. If the visitor is resourceful, he or she may find a way to bypass the form. Like the authoritarian ideology itself, the checkpoint is full of holes. Today, when refugee crises and threats of military confrontations are at an all-time high, walls are being built between and within countries. The closing borders in Europe, a proposed sealing off of the United States from Mexico, and the Separation Barrier in Israel-Palestine are all symptoms of the state of division and increased insularity that is parsed via stringent official channels. Customs and Border Protection mirrors the mechanisms used by government regulators to question the limits of such barriers.